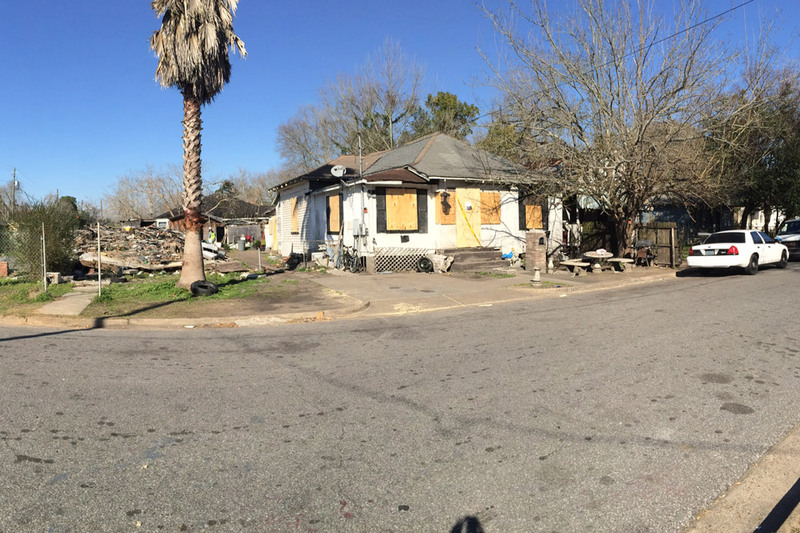 The Mobile Police Department delivered a message to drug dealers as this notorious drug house at the corner of State and Kennedy Streets in Mobile was torn down May 2015. The drug house had been in operation for decades. Following a highly successful drug operation in the Campground neighborhood, the house was purchased by the city and declared a "public nuisance." The police chief began the demolition with an excavator. Crime is down dramatically in the neighborhood and citizens are reporting crimes and helping to solve them. The neighborhood's violent drug dealers are serving long prison sentences.